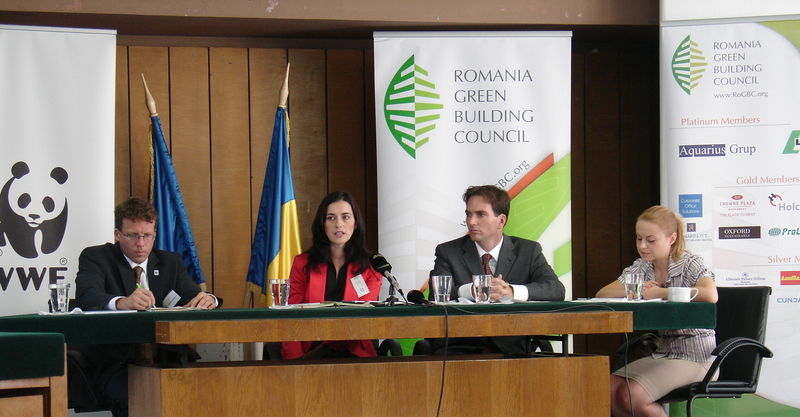 realizing a comprehensive study on successful policies implemented by other local public authorities in different parts of the world and comparing/checking with existing national legislation on what could be done in Romania. a survey with questionnaires sent to local public authorities, developers and architects meant to identify their feedback on the topic. a Green Cafe on the 23rd of September where we will discuss more details, in workgroups with RoGBC members and guests from the local public authorities on specific suggested measures that the RoGBC is planning to promote further. The results and the main conclusions of the survey will be presented to the local public authorities within the conference “Cities of the Future: Towards Low Carbon Economies”, organized in Brasov by the Association of Romanian Municipalities and the European Commission on October 14. Please contact Anca Bieru at anca.bieru@RoGBC.org for more details or getting involved.